Readers of POV get an exciting and detailed review of Morgan Spurlock’s latest film. Tune in to Discover Channel this Saturday to see the excitement for yourself! It’s rare that a documentary is constantly, annoyingly, in your face. And I mean this as a compliment. Of course, there are plenty of great environmental docs that keep our planet’s peril in mind, but, as a New Yorker, I have to admit I can’t stop thinking about Morgan Spurlock’s Rats, which played at midnight madness screenings in theaters and is now premiering on television on Discovery Channel this Saturday. Every time I’m on a subway platform or walking past any vegetation or a garbage bag, which means every day, I am struck with images from this funny, spine-tingling and illuminating romp of a film. Spurlock has had an interesting career, having debuted so strong in 2004 with Super Size Me and then having a mixed bag of good films (The Greatest Movie Ever Sold) and misses (Where in the World is Osama Bin Laden? ), but throughout, he’s proven to be a successful producer and business-savvy filmmaker. And now, after having found soild ground with Morgan Spurlock Inside Man on CNN, he has turned out his best film since he single-handedly put a big dent in those golden arches. I think the years of experience have done him good. 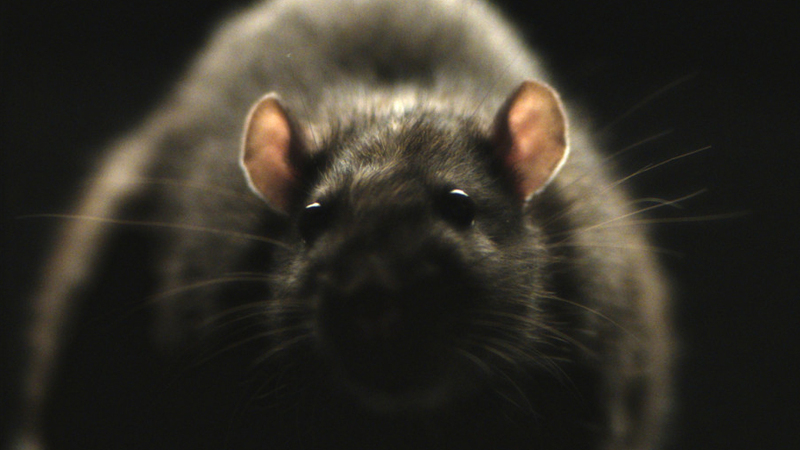 Rats is Spurlock at his best—raw, jokey, a little bit naughty and eye-opening. Much of the film is set in New York City, where the film (Spurlock doesn’t appear on screen, which is an interesting creative decision) pokes around to reveal a world underneath the gutters and in the shadows. And the film also spans around the globe, traveling to India where a temple is crawling with rats who mingle with the faithful and Vietnam, where the film reaches particular heights, showing regular folk cooking and eat them (without blinking or taking Ugly American cheap shots); it’s a climatic moment that inspires equal parts visceral (yuck) and intellectual (shift cultures and it’s just meat) crisis. Spurlock says that he has gained “more respect for rats now, and probably more disgust to match,” no doubt partly fueled by the fact that his downtown Manhattan office, which is on the 7th floor, once was visited by a rat. “It was disturbing to say the least, but luckily, as New Yorkers, we had an exterminator on speed dial,” he said.